Destiny Diaz was born and raised in Buffalo and has Puerto Rican roots. She is a University at Buffalo dean’s list student and a member of the Honors College, pursuing a bachelor of science degree in mathematics and a minor in Spanish. She maintains a 3.9 GPA. During her freshman year she was a member of the UB Leadership House, volunteering weekly at the Gloria J. Parks Community Center, and serving as a camp counselor for UB’s Science Technology Enrichment Program. 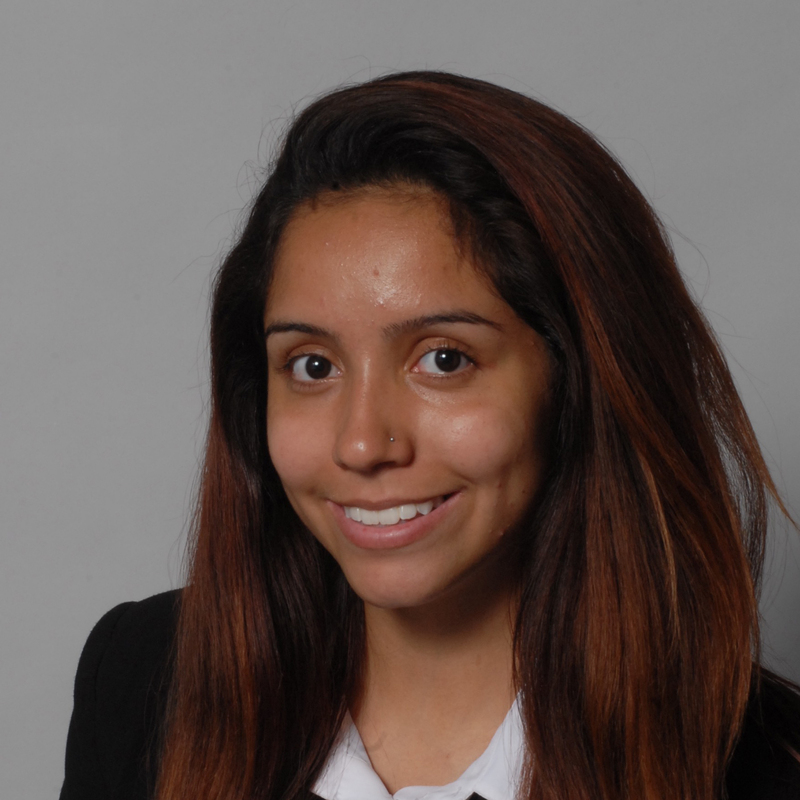 Destiny’s research experience includes a project written in Spanish detailing the history of Puerto Rican migration to the West Side of Buffalo after the Spanish American War. Additionally, she has presented research about using affine transformations to reproduce fractals in nature; and is researching the development of math-related technologies to encourage more students to enter STEM fields. Ms. Diaz hopes to pursue this topic for her undergraduate Honors thesis. Destiny is involved in the Louis Stokes Alliance for Minority Participation Program at UB, as well as the “STEMinism” initiative. Demonstrating her passion for education and giving back to her community, Destiny uses her fluency in Spanish to assist students with limited English proficiency, and volunteers in math classrooms at Buffalo Public School #33 Bilingual Center. She recently participated in an alternative spring break service trip to the Dominican Republic, where she volunteered at public schools and helped teach students English. Destiny is a member of the Hispanic Women’s League in Buffalo and has received an award from the National Puerto Rican Day Parade Affiliation in New York City. Destiny is participating in a research internship in the Health Behavior Department at Roswell Park Comprehensive Cancer Center, and plans to attend graduate school to study biostatistics.